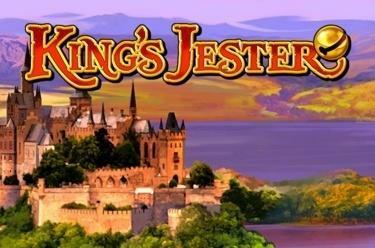 Play King´s Jester online for free now! An impressive keep with a royal society, 5 reels and 10 lines will get the likeable jester going. Look forward to the funny guy increasing your Twist numbers with jugglery and slapstick and with some luck he will conjure up a sizeable jackpot for your player account! Superb entertainment guaranteed! Your aim: 5 matching symbols along the 10 win lines! You win if several identical symbols land along the same winning line consecutively from left to right. The bell wins in any position and grants you 15 colourful free games if it lands in a combination of 3! 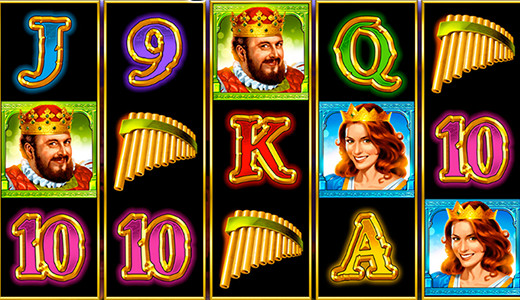 You will play with your settings from the last regular game and you can win additional free spins during the free game. If the Harlequin is part of a winning combination the line win will be doubled. The Jester is your joker in the bonus rounds and replaces all symbols except Scatter. If 5 Jesters land along a win line it's time for three cheers: In the regular game you can grab the Jester Jackpot (game with maximum stakes: 50% of the Jackpot), in the free game you can win the Jester x2 Jackpot (game with maximum stakes: 100 % of the Jackpot). If the bets are lower both jackpots will pay out the relevant share.